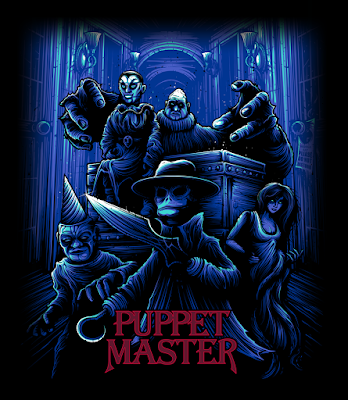 THE B-MOVIE NEWS VAULT: Grey Matter Art unveils two Monster-Mania exclusives + Teams up with Cavity Colors for Limited Puppet Master tee! Grey Matter Art unveils two Monster-Mania exclusives + Teams up with Cavity Colors for Limited Puppet Master tee! Grey Matter Art has got a lot of awesome in store for those of you who are attending Dave Hagan's awesome MONSTER-MANIA CONVENTION this weekend in Cherry Hill, NJ! They've got two highly limited edition prints available at the show for DR. JEKYLL & MR. HYDE (created by artist Chris Garofalo), as well as REEFER MADNESS (created by Timothy Pittides)! CLICK IMAGE FOR A CLOSER LOOK! Also available will be Timothy Pittides' cool REEFER MADNESS poster (18 x 24)! 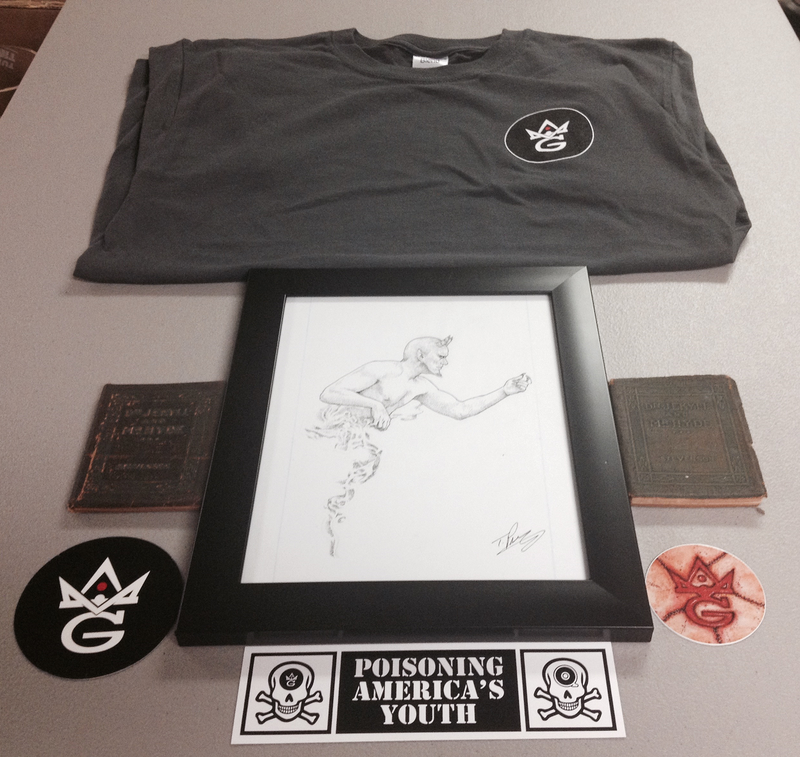 There will be sixty of these bad boys at the Grey Matter Art table, and they'll be going for $35 apiece. I should also note that if these posters do not sell out (hard to imagine), you'll be able to buy the leftovers from the Grey Matter Art website on August 3rd at 1:00 PM EST! 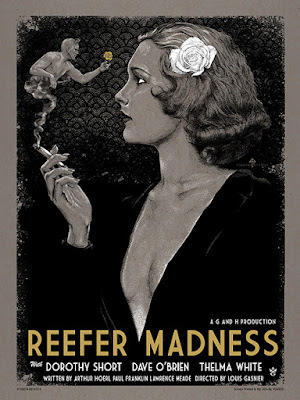 Scroll down to check out this cool REEFER MADNESS print! CLICK POSTER FOR A CLOSER LOOK! 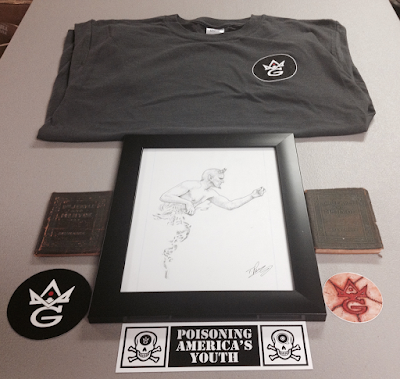 As further incentive, if you purchase any of these prints, you will be automatically entered to win this following Grey Matter Arts prize pack, which includes a GMA t-shirt, an original piece of artwork by Tim Pittides, and TWO ORIGINAL DR. JEYKLL & MR. HYDE NOVELS FROM THE 1920S! TOO COOL! Oh, and you also get free stickers! YAY! In other Grey Matter Art news, they recently teamed up with Charles Band's Full Moon Entertainment, and Cavity Colors to create a cool PUPPET MASTER tee! It was available for pre-order last week (on July 23rd) and limited to 300. I'm not sure if the shirt has sold out yet (I'm assuming it hasn't, or else it would say SOLD OUT on the webpage), but you can try your luck HERE! 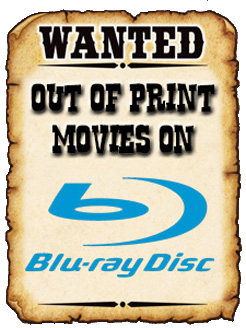 New DVDs & Blu-rays for 07/28/2015! New DVDs & Blu-rays for 07/21/2015! NEW DVDS & BLU-RAYS FOR 07/14/2015! NEW DVDS & BLU-RAYS FOR 07/07/2015! NEW DVDS & BLU-RAYS FOR 06/30/2015!